Dave just took the kids to the gym and I am having one of those rare moments where I have the whole house to myself. It's one of those times where I can actually think and not get interrupted. Although I was excited to have some time to myself I didn't realize it would lead to me breaking down. As a mother, I of course want the best for my children. Most things if I feel they aren't going the right way I am able to make a change so that I feel they're on the right path, getting better. There is one area that I can't control, I can't solve, and I feel like a total failure. It's Isabelle's eczema. Today she woke up from her nap screaming her head off, big crocodile tears falling down her cheeks, and saying between sobs, "It hurts, It hurts." Her skin has been particularly bad today and she must have been itching her feet or rubbing them together (because I am always telling her not to itch, so she rubs) and because they are so sensitive it was really hurting her. I picked her up, hugged her tight, and then put lotion on her feet and covered them in socks. It stopped the tears but did not get rid of the eczema. Here is the background on Isabelle and her eczema. At two months old she started having red, dry patches all over her body. When I took her to her two month well check the first thing the nurse said to me was, "Looks like she has that newborn skin!" I was relieved when she said that because if it's newborn skin then that means it will go away, right? Wrong. Isabelle is almost three now and her "newborn skin" is worse then ever. On a bad day, she is pretty much covered from head to toe with dry, itchy spots. She looks like a leper. Her face, the back of her neck, her arms (especially her elbows and wrists), her hands, her legs (especially her knees and behind her knees), and her feet. I would say overall her feet are the worse because of having to wear shoes which irritates it even more. On a good day it is only her knees and feet. The spots are bad enough but because she itches them so much she is constantly scratching herself until she bleeds resulting in scabs all over her body. I'm scared that one day she will get an infection because she has so many open wounds all over her body. She looks awful and it saddens me just to look at her. I am constantly cutting her fingernails but she still finds a way to scratch herself. She is so full of life and she shouldn't have to go through something like this at such a young age. It hurts me that I can't fix it or heal it. I've tried so many things to help her. I've bought numerous lotions claiming to heal eczema. They've all ended up in the trash. Of course we've talked to her pediatrician about it. He prescribed a steroid creme. We've taken her to the pediatric dermatologist. He prescribed FOUR steroid cremes and a whole regimen of when to use what. It was crazy. I took her to the allergist to see if it was caused by a food allergy. Nothing. No allergy to blame it on. 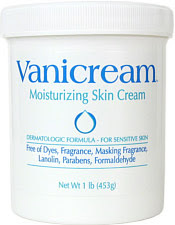 She said to continue with the steroid creme and use Vanicreme, a lotion that is "formulated without dyes, lanolin, fragrance, masking fragrance, parabens, and FORMALDEHYDE." Does that make you wonder what's in your lotion? It is supposed to be for sensitive skin but if I put it on Isabelle she screams her head off because it stings so badly. The allergist also prescribed a 24 hour antihistimine that was supposed to help with the itching and not make her drowsy. It doesn't make her drowsy but she definitely still itches. Apparently you have to stop the itching or else it's likes a vicious cycle. The more you itch, the worse your eczema gets. The one thing all of the doctors have said is that the only way she will truly get rid of it is to "grow out of it." I refuse to accept that as the answer. I'm now trying to figure out how to heal her homeopathically. I truly believe that Heavenly Father put everything on this earth for a reason and somewhere I will find the answer of how to heal her without smothering her with steroid cremes. I refuse to lather those steroid cremes on her twice a day for who knows how many years. I can't even imagine what they do to her body, her development, and I know they affect the way that she acts. One of the cremes that the dermatologist prescribed for her literally makes her crazy when we use it. I don't mean like out of control, hyper crazy, I mean CRAZY. We will NEVER use that one again. Thankfully, the internet is full of information on how to heal it naturally, but the one thing I've figured out is what works for one person doesn't mean it will work for another. Some people believe it is caused by the many chemicals that touch our skin. I switched to all natural cleaners, and laundry detergent and threw out the bleach, which is one of the few things that I know for sure makes her skin break out. I didn't notice much of a difference by doing these things. I heard from someone during a "twitter party" (I know, lame right?) that she has healed her eczema for 20 years by boiling dried Calendula for 20 minutes and then adding it to her bath water. After some difficulty of finding where to buy Calendula I found this cool store in downtown Mesa. Check it out here. They are full of all things natural when it comes to healing any ailment you can think of and were very helpful. They even taught me how to make my own salve. This is what the salve looked like before it cooled down. To make it, first I soaked calendula in olive oil for two weeks, left it to sit in the sun and shook it every day. After that I strained the calendula out and boiled the olive oil. I added some beeswax to help it harden and some pure cocoa butter to help moisturize. It was actually really fun to make but it made me feel a little bit like a witch making her "witches brew." Unfortunately, neither the bathing in caledula or using my salve has really helped that much. After that didn't work, I decided to call Dr. Bob Martin on 550 AM. He is full of all natural healing knowledge on pretty much any subject you can think of. I enjoy listening to him on Saturdays but I can't take him quite as seriously after seeing the '80s mustache he is still sporting. He told me that her eczema was probably caused by the vaccine she received in the hospital right after she was born. He did not have much advice to share about helping her other than take her to a homeopathic doctor and have her tested for food sensitivities. I told her that I had already taken her to the allergist and he said that the skin tests they perform are not very accurate and I need to have her blood drawn and tested. I have yet to do that but do plan on it. He also recommended sprinkling Evening Primrose oil on her food. We did that for a few days but didn' t not notice any difference. One day while researching I came across this great post which taught me something new. They actually talked about how to HEAL eczema instead of just treat it and wait for her to grow out of it. I was so excited to find this! It explains that eczema means there is a problem with the immune system and you need to heal the "gut" to help the eczema go away. I put her on probiotics that same day and Dave started making her a "power smoothie" full of many of the ingredients that they suggest. Doing that did not cure her but it led me to many other posts on eczema which after blog hopping for a bit led me to this post. I truly felt like I was inspired to find this blog on the day that she did this wonderful post about yeast and healing the gut. We are now on day 4 of giving Isabelle these drops and although today was a bad day for her and her skin I was warned before starting the drops that she was going to get worse before she gets better. I'm hoping that the worst is over and now she will start getting better. If these don't work I don't know what else to do other then smother her with steroid creams. Treating Isabelle's eczema is very time consuming and involves many lotions and medicines. Here is a little glimpse of the routine we are doing for her right now. It is constantly changing in hopes of finding something that works but this is what we are doing MOST days. When she wakes up in the morning I smother her in cocoa butter. It is hard as a rock and I have to heat it up in the microwave to make it soft enough to spread on her body. Because it is pure, with no chemicals, it doesn't sting her and it makes her smell like chocolate! Then I give her the 24 hour antihistimine and the yeast drops. They taste horrible but I found that if I add them to some of my Pepsi she drinks them right down. Yet another benefit of Pepsi! :) I usually put the cocoa butter on and the salve that I made at least one more time before nap time. One day I put the lotion on every HOUR and her skin still looked like I hadn't put anything on it since she was born. I don't bathe her every day because it dries out her skin too much but if it's a day that I do bathe her I boil the calendula and add it to the luke warm bath water. It turns the water yellow and makes it look like the kids peed in it. :) I don't use any soap on her, just some gentle scrubbing with a wash cloth. Sometimes her hair gets really greasy from the lotions getting on it so sometimes I will use a free and clear shampoo but I try not to. Immediately after she gets out we put lotion on her and then put jammies on her that cover as much of her body as possible to trap the moisture and lotion. The type of lotion depends on the day but we usually layer different lotions on her. It could be the salve I made with the cocoa butter on top of that or it could be the salve with vaseline over it. I don't like to use the vaseline either but it is one of the most effective things to use. If it's a really bad day then it is the steroid cream with vaseline over it. At dinner time she gets another dose of the yeast drops and then just before bed time we give her juice with a probiotic in it to help add some of the good "stuff" as we try to kill all the bad. At bed time she also gets some Benadryl. Before we had her on the two antihistimines (the 24 hour and the Benadryl), she would wake up screaming a few times every night. She couldn't sleep because she was so itchy. We were all a little sleep deprived and i'm grateful that for the most part she is now sleeping through the night. It might seem like doing these steps every day isn't that much but when you've done them every day for months, years even, and when you think about how much complaining, crying, whining, coaxing, bribing, etc. it takes to do these things it adds up and can be very draining. For the most part she has been a trooper though and is really trying to not itch her skin. This is what she looked like tonight before bed AFTER we put her lotion on (tonight it was steroids and vaseline since it was so bad). It was night time so the lighting isn't good enough to really see the redness and it's not dry because we just put vaseline on her but you can definitely see all of the scabs from the itching. If you've read this whole post then you deserve an award. I think it is my longest post by far but it has been very therapeutic for me. For now we will keep doing the yeast drops and try to heal her gut and if that doesn't work i'm not sure where I will go from there. Probably take her to a naturopath to be tested for the food sensitivities. I hope that one day I will be able to change the title to Eczema, Witchcraft, and SUCCESS! Any suggestions with helping Isabelle's eczema would be appreciated! Btw, if you want to see what kind of chemicals are in your lotion check out this site. It's what I am using to find pure, natural lotions, that don't have any chemicals. It's amazing how many things say they are "all natural" but aren't. I'll warn you though it's kind of one of those things where ignorance is bliss. The lotion that I've been using for over 10 years was given a rating of 10 which means that it is full of the worst chemicals that have been linked to cancers, throwing off your hormone levels etc. I guess I need to find a new one but I just love that Love Spell too much! It's going to be hard to replace. Oh well! Justin is having a great time playing t-ball. The coaches are great but kind of forgot to start with the basics, like showing them the order the bases go and where the positions are. During the first practice one of the coaches asked Justin where "home" is and Justin started pointing far away towards our house! Another classic moment was Justin's first at bat in a game and he totally skipped first base and ran straight to second! Luckily, at this age no one really cares and they're just having a great time! Justin's team is the "Marlins"
Pretty good stance for only being four! Isabelle spent a long time moving each egg from color to color. I'm surprised they didn't all turn out brown! It took a few good washings to get the dye off of her hand. It had lots of different activities like horseback riding, a petting zoo, and a bounce house. The kids had a blast! Justin had a lot of fun hunting with his friend Kai. We also had a great time hunting eggs with all our friends in the old neighborhood and our cousins. The kids had so much fun getting to hunt eggs so many different times, including Easter morning, which apparently I forgot to get pictures of! Oh well, next year I guess!